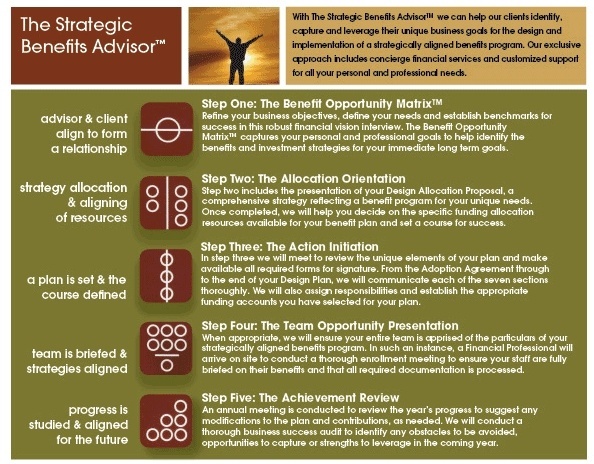 With The Strategic Benefits Advisor™ we can help our clients identify, capture and leverage their unique business goals for the design and implementation of a strategically aligned benefits program. Our exclusive approach includes concierge financial services and customized support for all your personal and professional needs. This information is not intended to provide legal or tax advice, or to avoid penalties that may be imposed under U.S. federal tax laws.